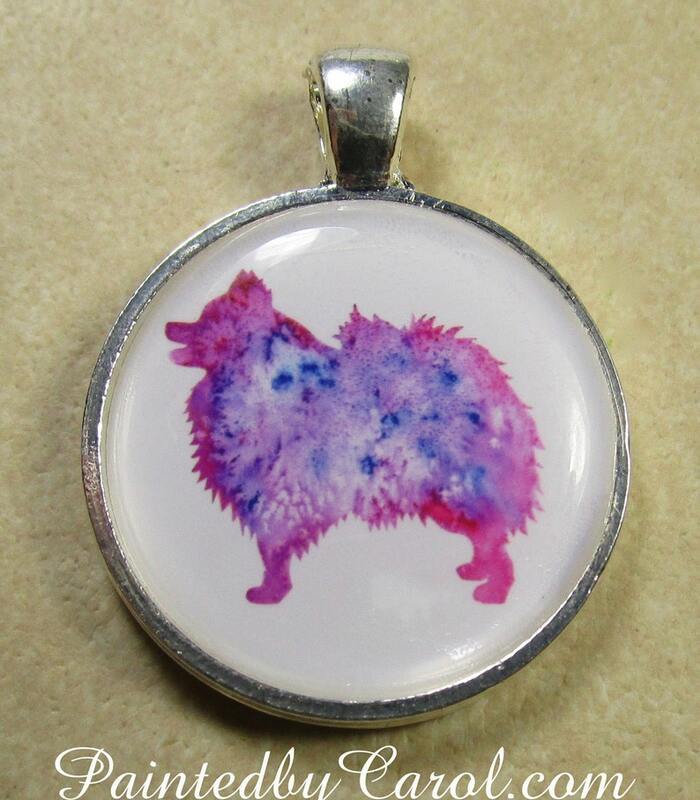 This Pomeranian pendant features my watercolor painting of a Pom Pom silhouette in shades of fuchsia and blue. Image is 25mm (1-inch) across and is protected by an epoxy cabochon. Includes a 20-inch curb link chain with lobster claw clasp. Makes a great gift for kids, too. Let me start by saying that I'd give Carol ten stars if I could. Not only did my necklace ship out in a day, but she personalized it and included the sweetest note. It was very heartfelt and so very kind. The necklace was a gift to a friend and she absolutely loved it. I couldn't recommend Carol's shop more!!! You won't be disappointed!